The cluster has an apparent magnitude of 7.42 and lies at a distance of 17,600 light years from Earth. It has the designation NGC 6809 in the New General Catalogue. Messier 55 occupies 19 arc minutes of apparent sky, which is almost two thirds the size of the full Moon. The cluster has a linear diameter of almost 100 light years. It can be seen in 50 mm binoculars, but can only be resolved in medium-sized and larger telescopes. 8-inch telescopes will easily resolve many of the cluster’s stars. Messier 55 can be located by following an imaginary line drawn from Kaus Media, Delta Sagittarii, to Ascella, Zeta Sagittarii, and extending the line eastwards for about 17 degrees. The cluster has a low surface brightness and requires good observing conditions to be seen, even in binoculars. With a density classification of XI, M55 is relatively diffuse and quite loose in appearance. It looks grainy even in smaller binoculars, unlike most globulars, which appear hazy and nebulous. The best time of year to observe M55 is in the months of June, July and August. 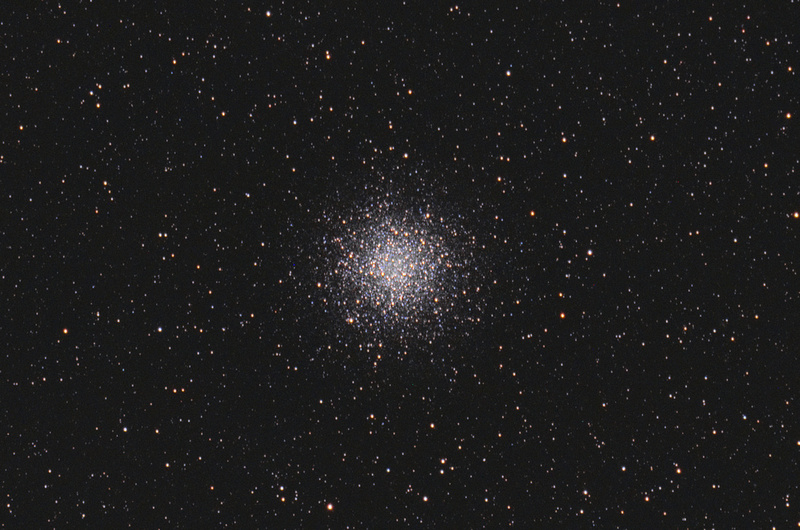 Messier 55 has a mass about 269,000 times that of the Sun. It contains roughly 100,000 stars. Only 55 variables have been detected in the cluster’s central region. 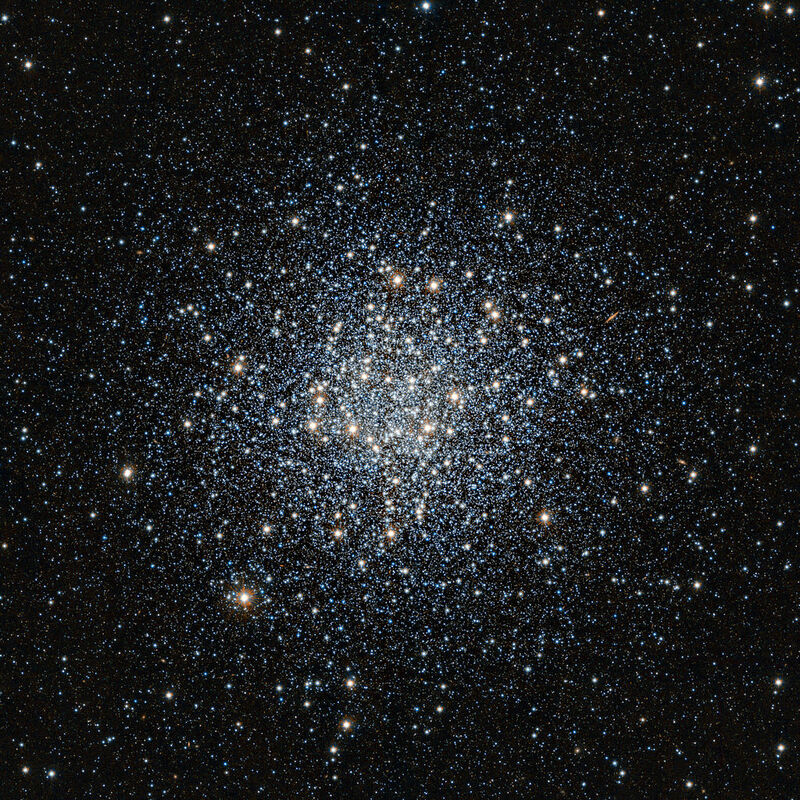 The stars in the cluster are mostly old and red, but M55 also contains an unusually high number of blue stragglers, old stars that appear younger, bluer and more luminous than similar stars their age as a result of interactions and mergers with neighbouring stars in the cluster. 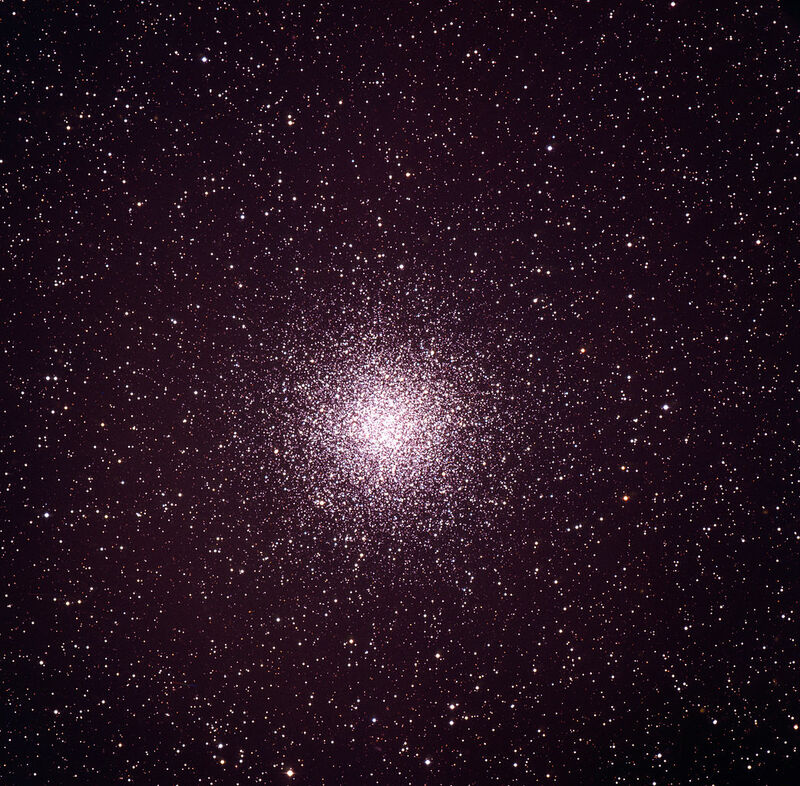 Messier 55 is one of the most metal-poor globular clusters known. It has only 1.1 percent of the Sun’s heavy elements. A nebula which is a whitish spot, of about 6′ extension, its light is even and does not appear to contain any star. 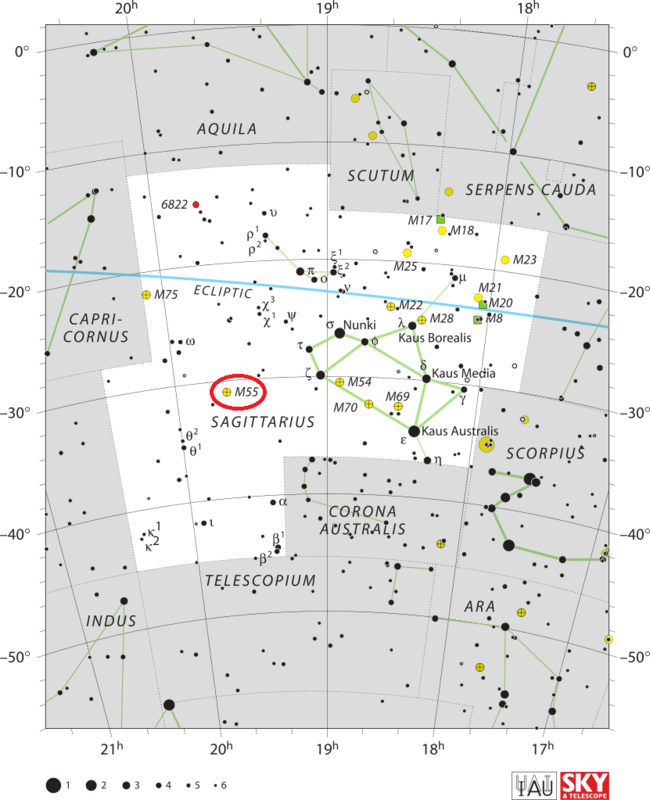 Its position has been determined from zeta Sagittarii, with the use of an intermediate star of 7th magnitude. This nebula has been discovered by M. l’Abbe de LaCaille, see Mem. Acad. 1755, p. 194. M. Messier has looked for it in vain on July 29, 1764, as reported in his memoir.